Kajabi Sale 60% OFF until Midnight 11/26/18. 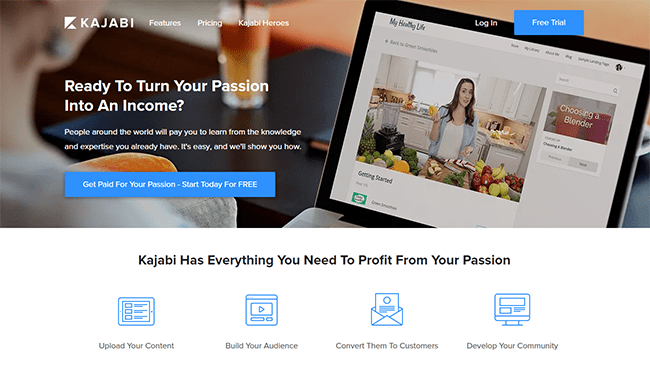 Kajabi is an all-in-one platform that makes it easy to create online courses, launch marketing campaigns, build landing pages, and design the perfect website. This by far, is the easiest way to create a membership site, sales page, and merchant account - All-In-One System. In less than a few hours, you can have a complete course online and ready to sell.